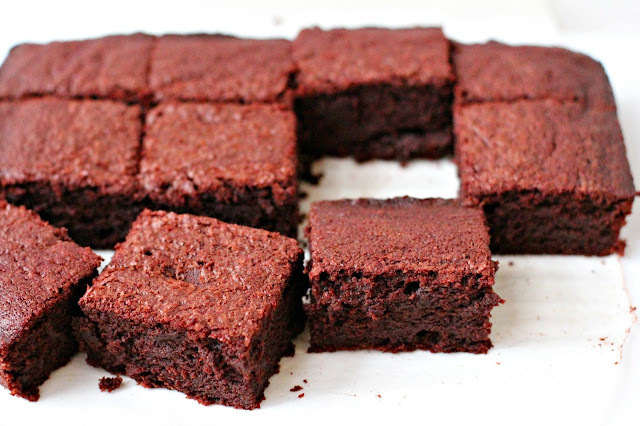 Brownies - a superfood... who knew? Preheat the oven to 180 degrees C. Grease a shallow 26 x 16 cm baking pan with cooking spray and line the base with baking paper, letting the paper drape over the two long sides of the pan. 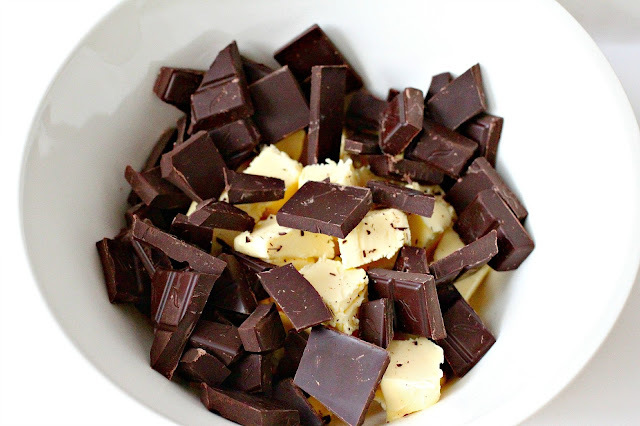 Put the butter and chocolate in a medium saucepan and melt over low heat until smooth and completely melted. Set aside. In a large bowl, whisk the eggs and sugar together. Add the melted chocolate and butter mixture and beat until well combined. Sift the flour and salt over the chocolate batter and gently fold them in. Fold in the pureed beetroot. Do not over-mix. Pour the batter into the prepared pan and bake for about 30 minutes or until a skewer inserted into the centre comes out with a few moist crumbs clinging to it. Let the slab of brownie cool in the pan for about 10 minutes then gently lift it out of the pan with the over-hanging paper. Leave to cool completely on a wire rack before slicing. 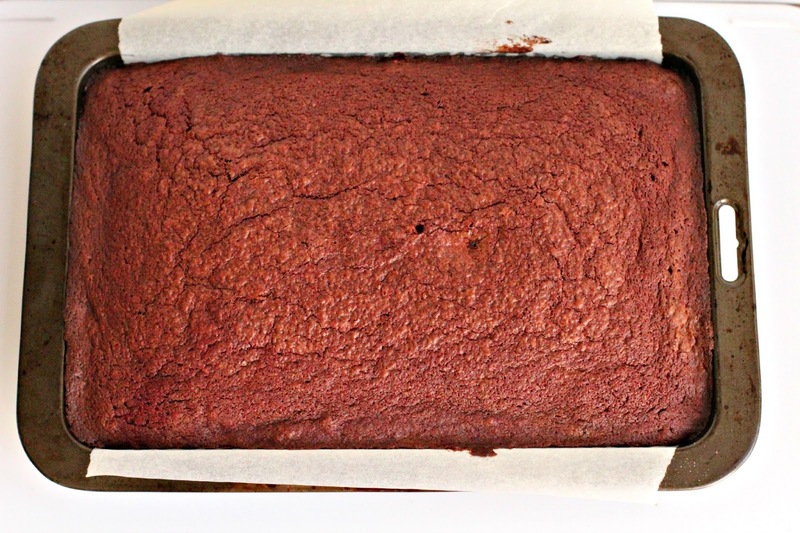 A very sensible way to use beetroot:) Looks delicious! 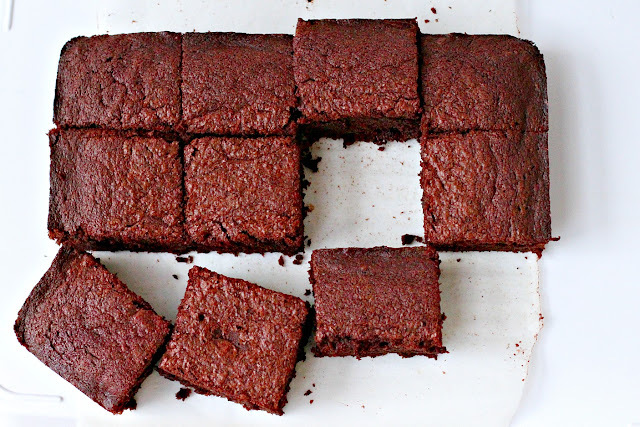 What a great way to make brownies healthy! These look fabulous! I am in love with this in a MAJOR way. That gorgeous color! Can't wait to try this! Wow - these looks fabulous. I have to try ! And, beautiful pics as always my friend! Hi Jen. Can you taste the beetroot very much? A different recipe but I'm sure they taste delicious! Thanks Sara. A great recipe for when you've got too many beetroot. Hey Gabrielle. 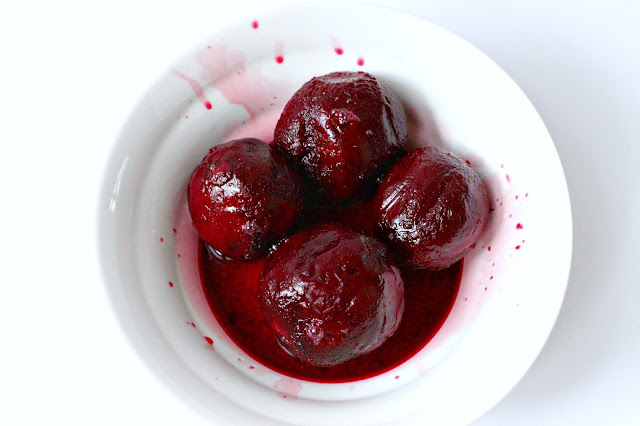 You know, I'm not crazy on beetroot either - I can take it or leave it, but these are delicious... I promise. Hey Little Kitchie - Like Red Velvet - only without the food colouring. Gotta love that. Thanks so much Jessica. 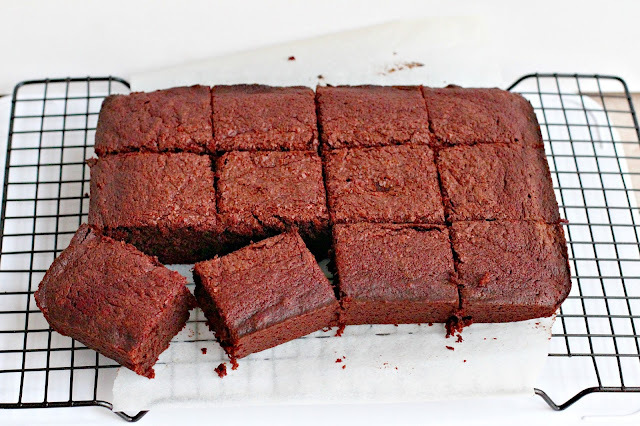 It's really great for kids - my kids have no idea they are made with beetroot. I'm a sneaky mummy. Hey Sam. Trust me, you'll never know there's beetroot in them. I'm not a huge fan of beetroot, I think they taste a bit like dirt. 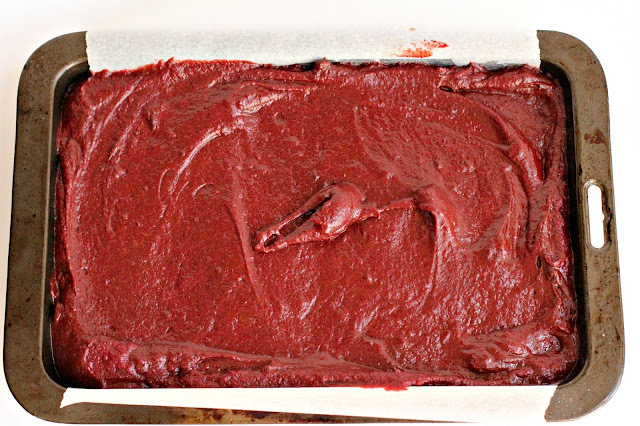 But here, they just add a sweetness, moisture and the red colour to the brownies. 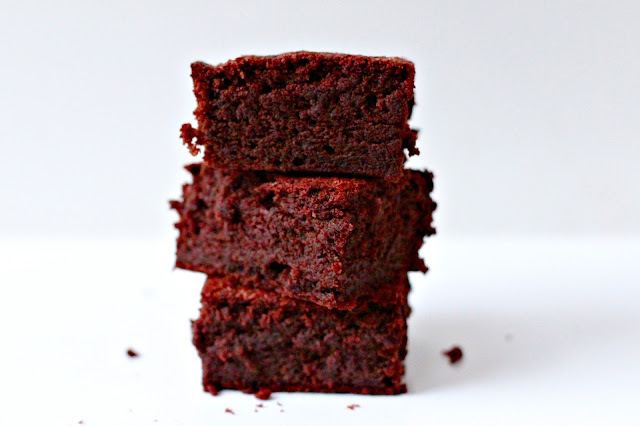 No trace of dirt in your brownie whatsoever - which is always a good thing. Thanks for stopping by Mónica. They look great! Love the pictures!